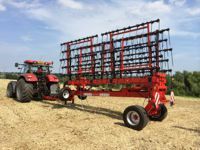 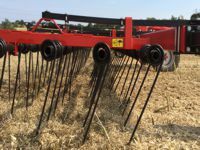 The Quivogne Beaver is a heavy duty straw rake that has been designed and built to work over vast acreages at speed to give the user maximum performance. 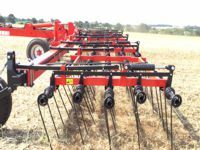 Uses 5 rows of 16mm diameter, 750mm long, heavy duty spring tines at 300mm side to side spacings with 460mm distance between each row for effective clearance. 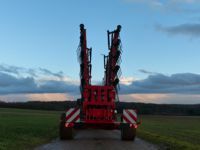 The tines are mounted on heavy duty leaf springs for the simple and effective application of pressure to the ground whilst also acting as a shock absorber. 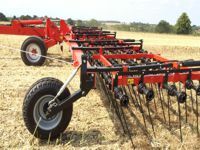 The angling of the tines is simply adjustable by using the winding handles, but can be hydraulically operated as an option. 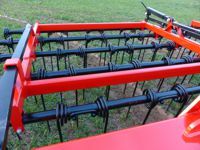 The tines effectively destroy slugs and their eggs. 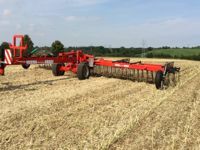 The Beaver efficiently distributes any laying /heaped damp straw which then quickly dries to become brittle. 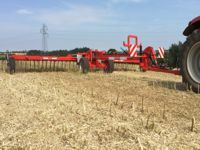 It accelerates the decomposition of straw as the rake crushes and breaks it causing the straw to quickly rot aerobically. 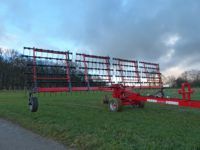 Can be used in the autumn to stimulate failing crops - scrapes the top crust to accelerate sprouting. 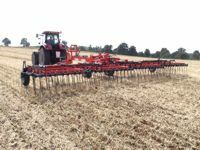 Can be used in the spring to prepare for drilling. 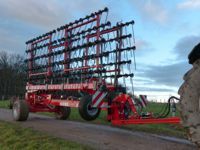 Controls weeds by stimulating and accelerating their germination. 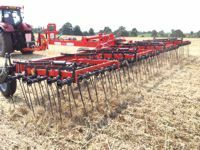 It can also be used for the fast and immediate incorporation of slurry and fertilizer into the soil.